Minus5 is an ice bar where you can touch, feel, and explore handcrafted ice sculptures. 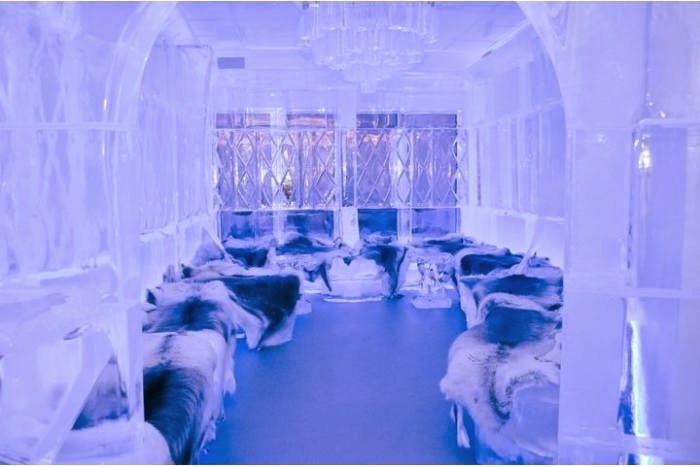 Everything inside minus5 is made of ice: the walls, the bar, the seats and even the glasses that you enjoy their famous vodka-based cocktails in. Your event is unique, which is why Minus5 believes in customizing each event to your specific needs. One stop shop made easy-you work with one Sales Manager from start to finish who will help you coordinate all aspects of your event. Both, at the Monte Carlo and at the Mandalay Bay provide coats, boots and gloves for $17.